For years now, Dikkedeur has a very nice site in the Kralingse Bos for two age-groups group at the 'Hut' of scouting group 'Stella Maris', adjacent to the Kralingse Plas. Already having had a nice cycling trip from school to our site, the children might want some fruit and/or pick a healthy 'green' snack, something to drink and then swiftly move on to a specific activity in the forest: since time flies at Buiten-bso! For children from 7 to 9 years old we have the Buiten-bso I from where they start playing outside and discovering the Kralingse Bos. The eldest BSO-children, aged 9 and older, already with entirely different interests. 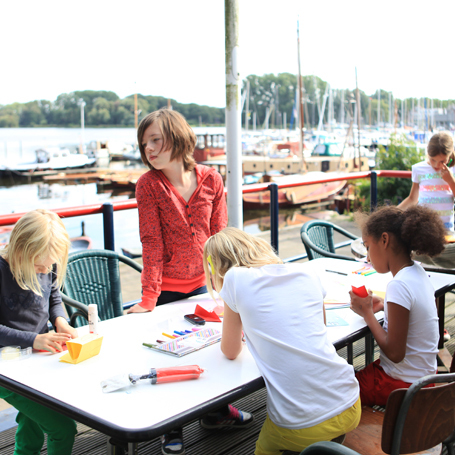 They are in Dikkedeur’s Buiten-bso II, where we offer them activities fitted to their age and interests. 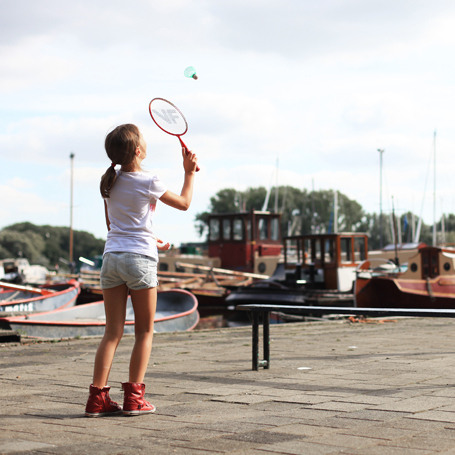 The challenge of the natural environment for instance is widened by taking them out on the water (sailing and rowing), of course under competent guidance. The growing cooperation with Stella Maris may help us here, because they have group leaders with a brevet for this.